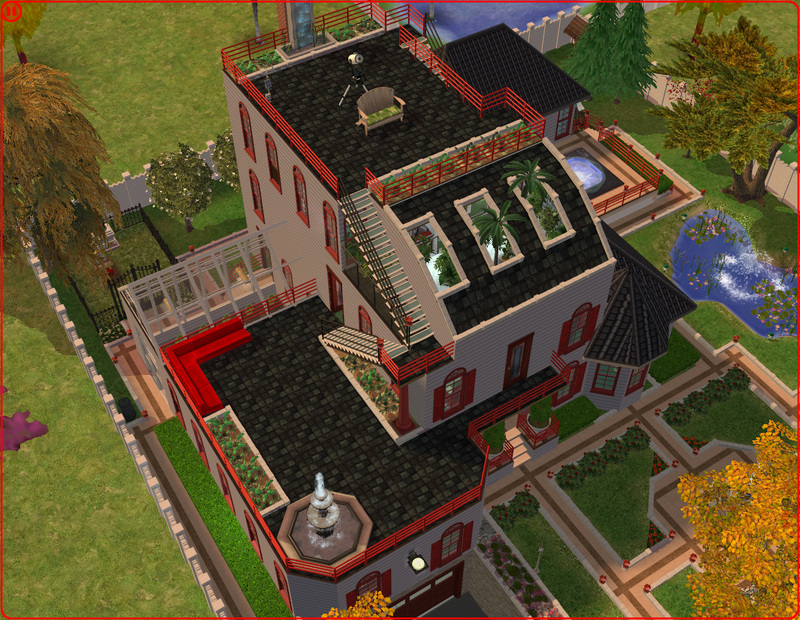 As promised, here's some screenshots of the Sims 2 house I've been re-modeling. I have the following expansions for the game: Nightlife, Open for Business, and Seasons. It was fall of the year in-game when I took the screenshots. That's why the trees are all yellowish. As I've said before, the head of this family owns several businesses and money is no object. (Even without cheating!) Click an image to view full. Here's the full house. 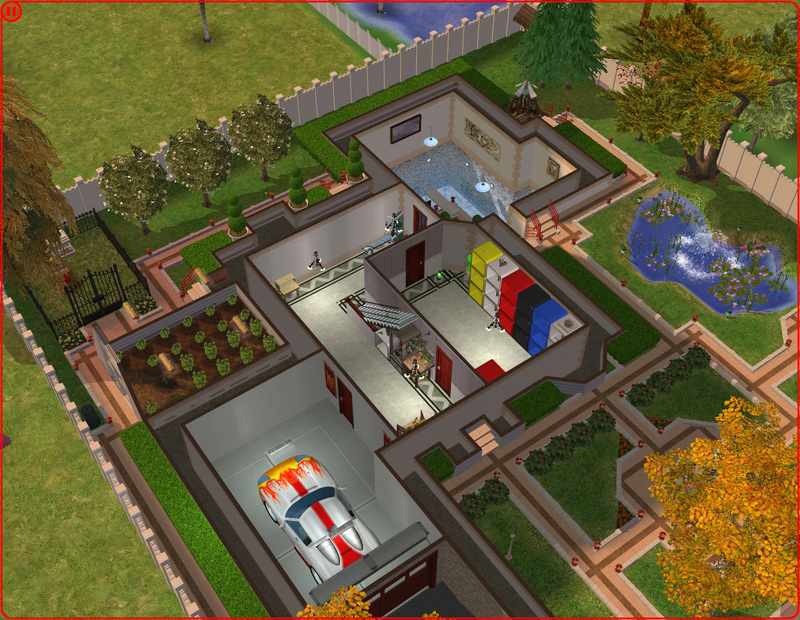 Notice the curved roof and the sunken-in garage. Those are usually not possible in the game. It took some tricky use of the boolprop constrainfloorelevation false cheat. We'll work our way down the floors, so here's the 3rd floor. 1st floor. This is the main floor where everything happens. And the basement. Notice the car in the garage and the pool in the far corner. Here's my neighborhood. 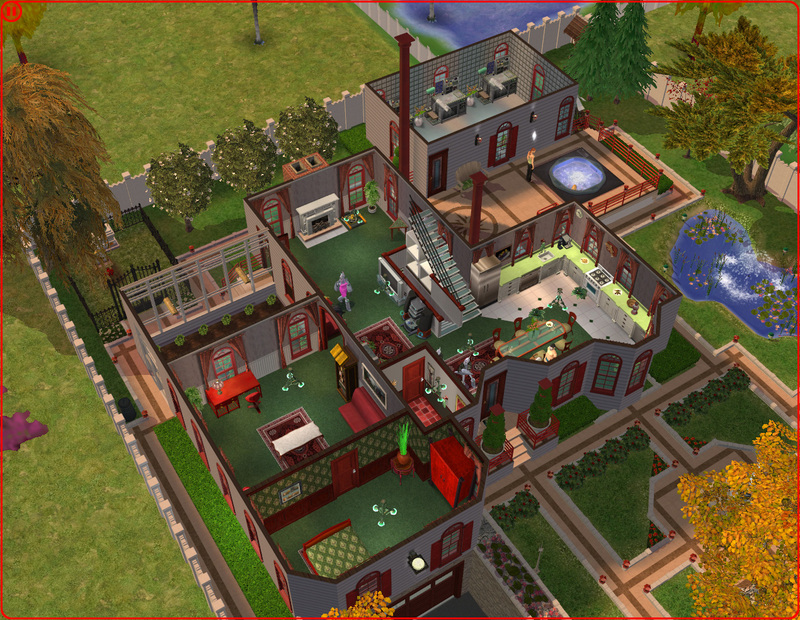 There's a few houses that didn't make it in the screenshot, but most can be seen. 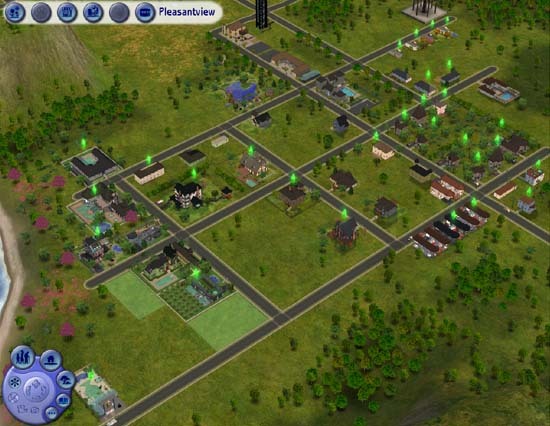 Yeah, it's a fairly heavily populated Sims 2 neighborhood. This house is A+.Do you have The Sims 2 Apartment Life? owww, and Nightlife??? @ Anonymous (#1): Thanks. I do have Nightlife, but not Apartment Life. 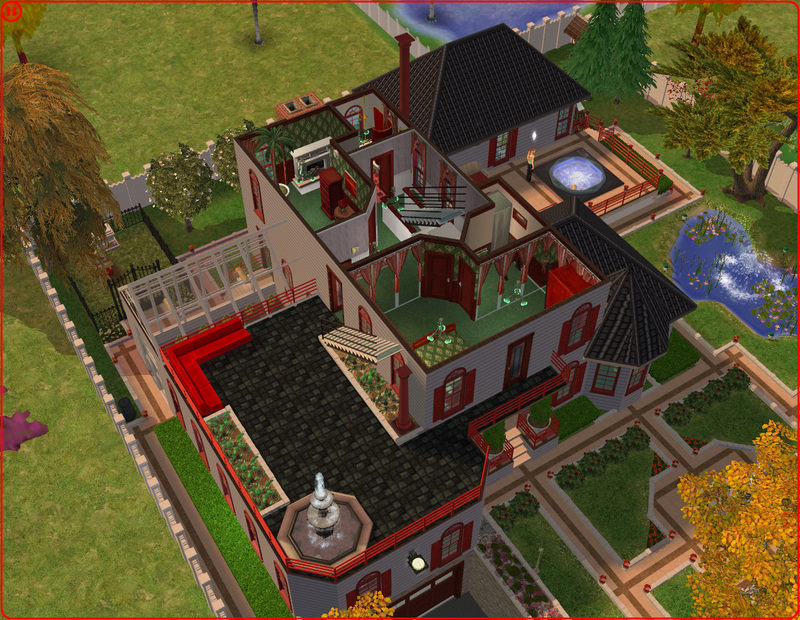 I've been playing Sims 3 now. 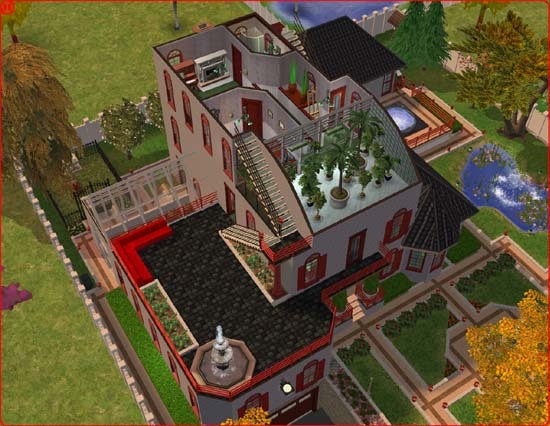 Sims 3 runs to slow on my laptop i am going to uninstall it soon i love sims 2 your house is like super cool,my houses are just four stories high with a roof and it looks to tacky for words..... but have you seen pics where peoples sims skins look golden tannish? I have been dying to get my hands on some!!! DUDE I KNOW RIGHT! ?It is like so hard to find it but everybody seems to have those pretty skins!!!! !Oh nice house......its....SUPERB!